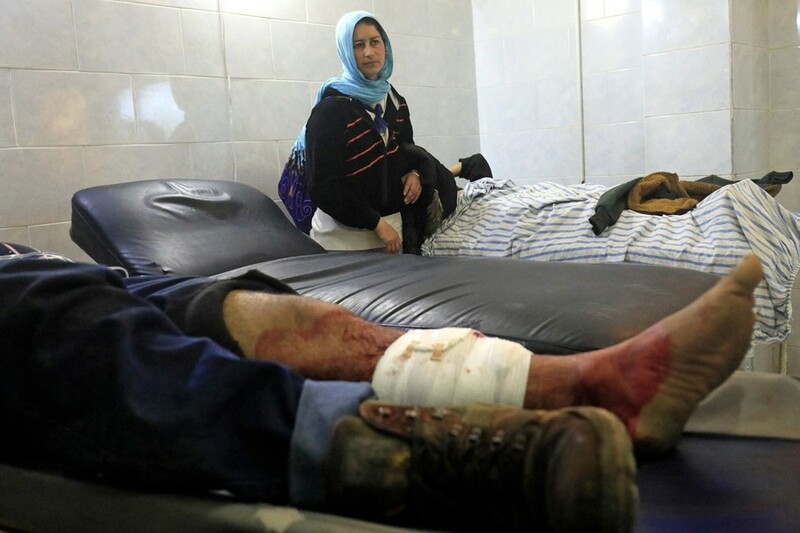 Supplies at Afrin Hospital in northern Syria are running low as beds are packed with wounded civilians, fleeing advancing Turkish forces in their operation against Kurdish fighters. Footage from the scene shows blood being wiped from the floor and relatives in tears as Afrin Hospital becomes overwhelmed with victims. “We were leaving the Raju area when a jet started to attack us. It also hit several targets near us. I was with my brother and his family,” a man with a bloodied face told RT’s Ruptly video news agency. “He was trying to get our goods back from Jinderes, which still has many civilians there. 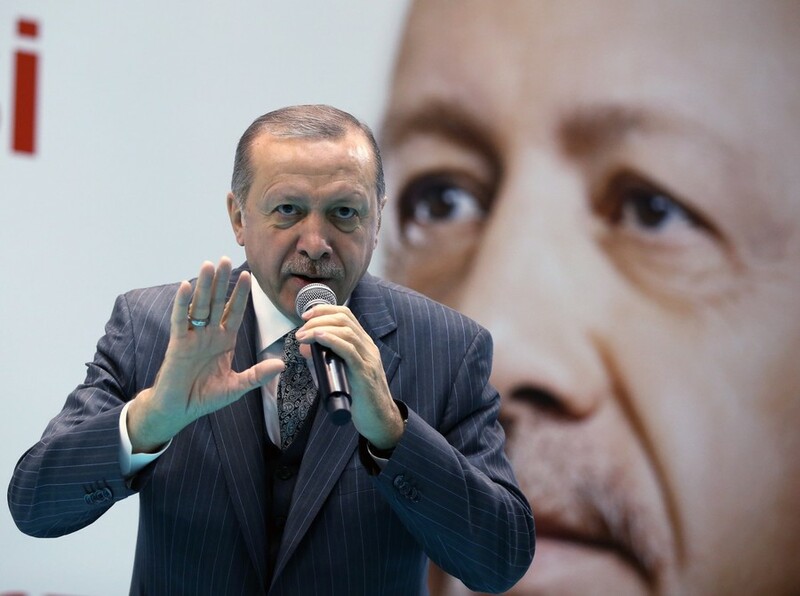 The Turkish government and army is still bombing civilians there… He got a piece [of shrapnel] in his neck,” said a relative of one of the patients. 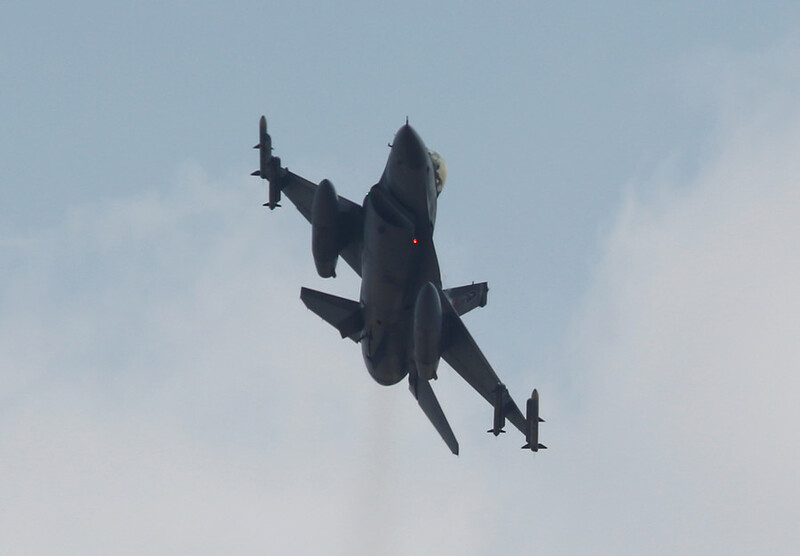 Dozens of people have been killed and possibly hundreds more wounded since Turkey launched its air-and-ground operation against Kurdish fighters in January. 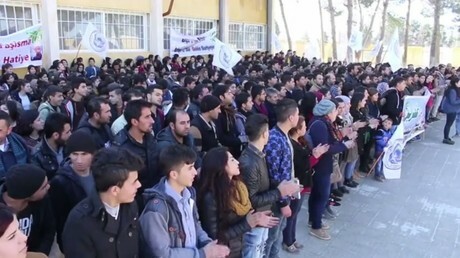 Afrin Hospital’s medical staff has been dealing with a shortage of supplies as a result of the mounting casualties. 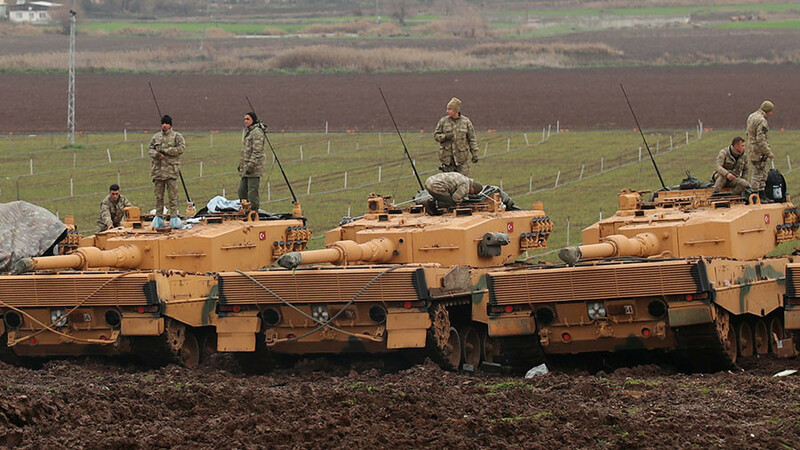 In January, the Turkish military began its operation against the People’s Protection Units, or YPG, a Kurdish-led militia which it considers to be a wing of the Kurdish armed movement – the PKK (Kurdistan Workers Party), which is banned in Ankara. The YPG, which controls several enclaves in northern Syria, has secured territory from Islamist rebels and other extremist groups over the course of the Syrian conflict, with the backing of airstrikes from the US-led coalition. However, the US has so far not moved to support its supposed Kurdish allies. 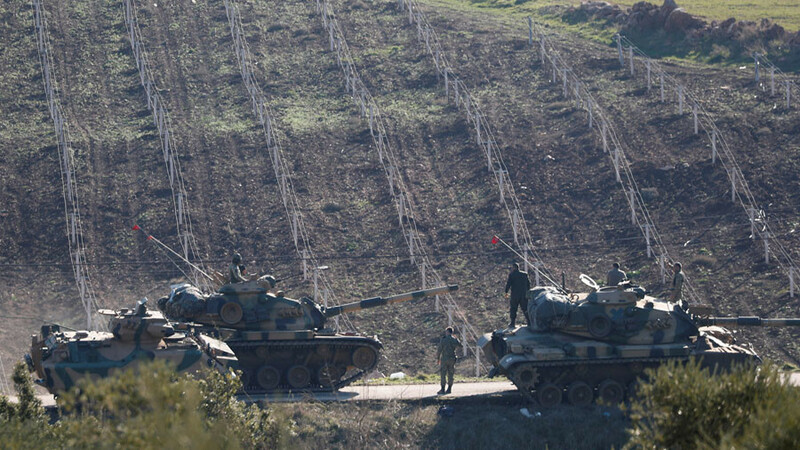 Turkish tanks, fighter planes, and artillery strikes have been pounding Kurdish positions in northern Syria since late January, with help from other local armed groups backed by Ankara. Meanwhile, a number of Turkish towns and villages along the Syrian border have been hit by rocket strikes. 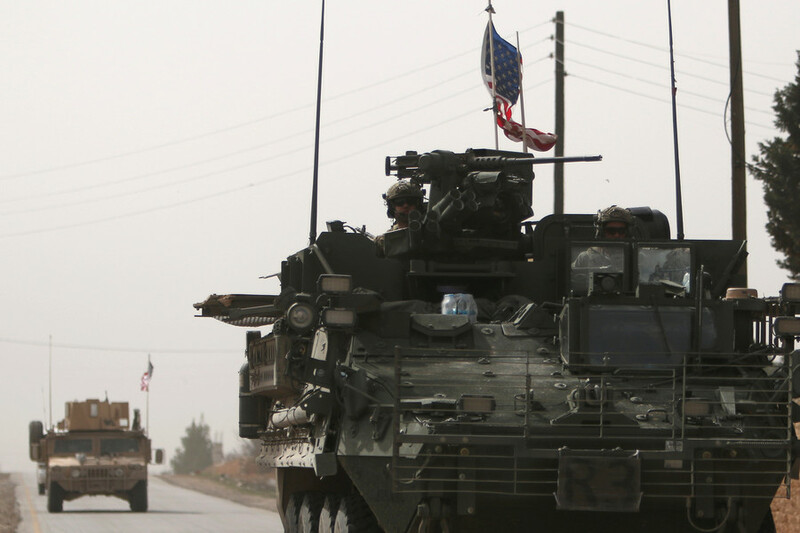 The Turkish military claims it is only acting against “terrorist” targets in its operation against the YPG, but the Syrian government has repeatedly condemned what it considers to be an attack on its sovereignty and has promised to take appropriate measures.